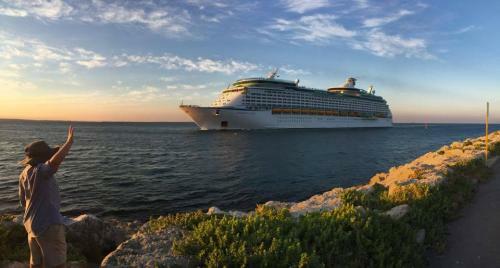 Friday is here and that means we are showing off some of the wonderful Royal Caribbean photos that our readers have shared with us. You can share your photos too and then we can share them with the world! Our first photo is from Murray, and it is of his nephew Kameron giving Explorer of the Seas an Australian welcome on her first port of call in Fremantle. Gorgeous colors! Check out this shot of Rhapsody of the Seas at Buzios in Rio de Janiero, Brazil by Renato Rossini. 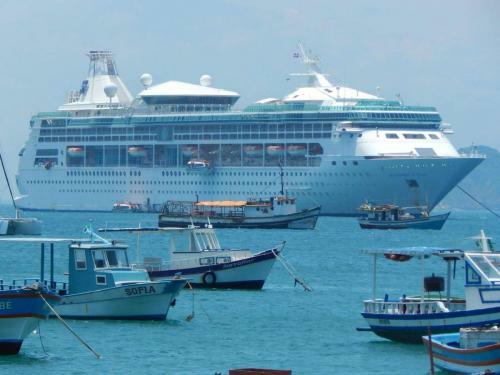 Interesting contrast between this major cruise ship and the smaller vessels in the foreground. 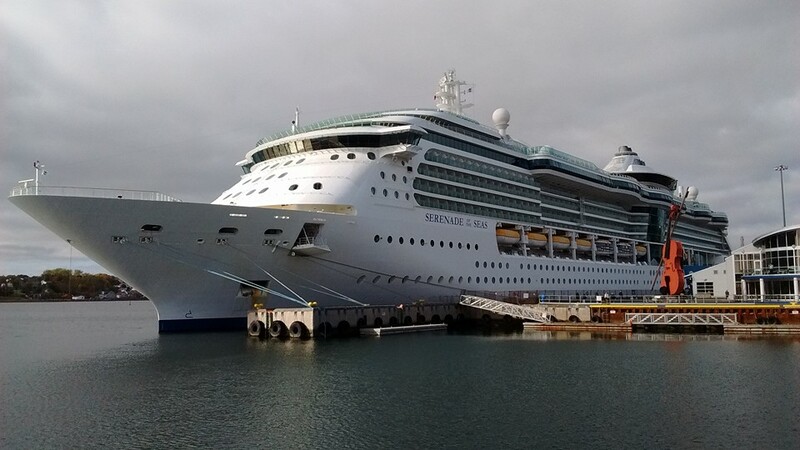 Zoltán Marton sent us this photo of Serenade of the Seas that his brother sent him. His brother works on Serenade of the Seas as an assistant waiter. This photo is from Sydney, Canada, which is located in Nova Scotia. Here is a fun photo from Dave Rimington of the FlowRider on Navigator of the Seas. Great form! Lastly, we have this photo by Denny Allen of him and his wife being prepped for their Labadee zip line excursion. 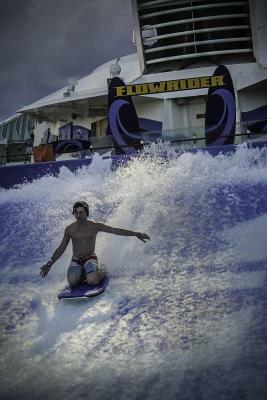 From personal experience, I can tell you all that this is a lot of fun! Thank you to everyone that sent in their photos that we featured this week and if you want your photos included, use this form to send them to us!